Unlike Arular, I really got it the first time I heard Kala. There’s a much more revolutionary cheerleader vibe to it that immediately hooks you. I love the depth of samples and participants she brings to this album too: Timbaland, Bollywood, little kids, etc. I hadn’t really heard Timbaland much before and he’s brilliant on Come Around. When I heard Paper Planes I knew it would be a big hit – a dramatic sound, the aforementioned revolutionary cheerleading, the gun sound effect – it’s a winning formula. Also interesting that she half-covers the Pixies on $20. That’s not what I expected for a cover from her at all. Though certainly the song (Where is My Mind?) fits her aesthetic well. 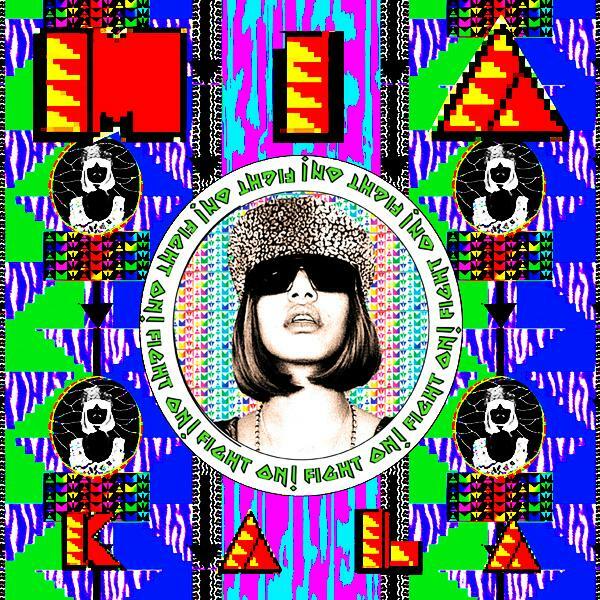 It seems like the M.I.A. backlash started with the album, now that it’s a hit. Some say her image is all a pose and they bag on her marrying the son of a millionaire, as a supposedly third world revolutionary speaking out again “the man”. Frankly, everyone’s image is all a pose; she is just unapologetic about it. And it seems like an artist, male or female, should strive to marry a millionaire – she says herself that “I hate money cuz it makes me numb”. As a poor artist, you have to constantly micromanage money to survive. If you’re married to someone with tons of money, you don’t ever have to even think about making money, just art. Problem solved. Anyway, I am sure she isn’t hurting for money herself anyway so bitching about her marrying a millionaire doesn’t really make sense. She’s marrying on her level at this point, and she has the option to tell the music work to go away and still maintain her comfortable lifestyle. Power to her.